The NFL Draft 2019 machine is starting the engine this weekend with the Combine first then a series of events that will bring us to the NFL draft in Nashville Tennessee on April 25th-27th. For the non-NFL-experts, the Draft — like in other US sports — is the moment where rookies coming from the College leagues are entering the NFL and will be picked by teams in reverse order of merit from the previous season. In some cases, the decisions taken at that moment can shape the team future season dramatically. The draft is organized in 7 rounds during 3 days, teams all have “war rooms” where they decide tactics as the draft progress. The level of tactical power to get the right players as the process evolves is incredible. The event has a massive broadcast production and team fans organize big tailgate style events around that time. 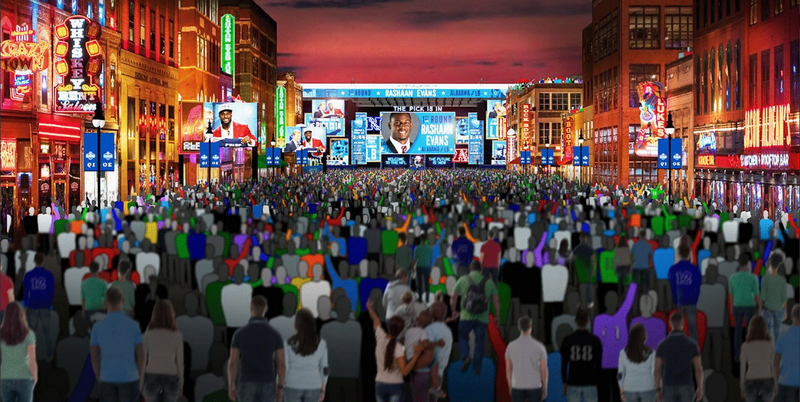 The NFL covers the whole event on NFL Network live and has great coverage on nfl.com fully dedicated to the draft. In Europe, you will be able to watch it live and VOD and in the popular Draft in 40 mins format on NFL Gamepass https://www.nflgamepass.com/en. Draft analysts and pundits create Mock Drafts as they follow the Prospects (Players who will potentially be drafted) in order of pick and following each team needs. I stumbled last week on a new no-code app development platform based on data being saved in google spreadsheets and an intuitive web-based setup interface, Glide, founded by a team of people coming from Xamarin (Target all platforms with a single, shared codebase for Android, iOS, and Windows). The resulting app is a web-based app, for the free version, with a good solution to share it with others which suggest saving to the home screen so to have an icon on your phone like any other app. The pay version creates a real app that is then published on Apple and Android app stores. I so much liked the idea that I wanted to explore how to make use of it with what we do at deltatre. So even if the nfl.com coverage and the draft tracker are amazing, I wanted to experiment if I could do something very simple and direct and test how long it would take. The experience in these last few days has been great so far, the platform is super simple to use, the Glide team is super responsive and has already improved a lot with new features almost every day. I am always fascinated by Product management decisions when the people using your app/tool/system are asking for many different things all important to them and you have to decide on what to focus short/medium and long term and keep the ship tight. 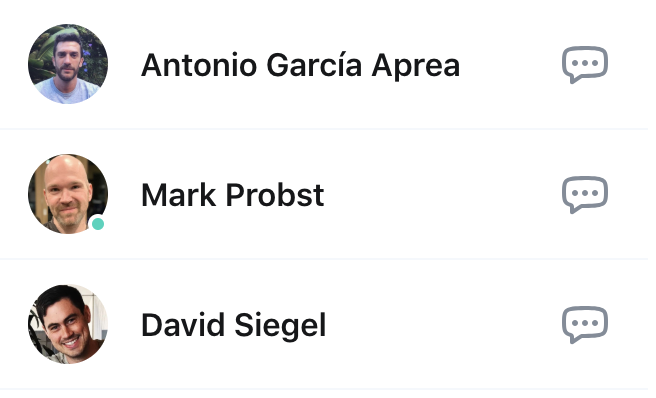 The platform they use to manage the community (Spectrum) is quite nice, Twitter-like interface and very effective, the platform also embeds Intercom which is one of my favorite customer service chat. The tough part is organizing and getting the data you need for your app. A good understanding of the full potentiality of Google Spreadsheet is a MUST if you want to go beyond a simple list/detail app. In this case, I have done a lot of manual data weightlifting that took most of the time and used extensively functions like ArrayFormula and importXML. Beyond the concept/design of the app, the data setup the real configuration of the app is merely a question of minutes, truly, I think I could reconfigure the app from scratch in 15 minutes now. 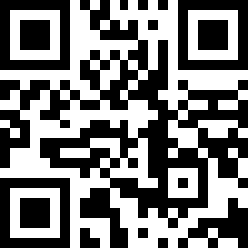 Let’s have a look at the app! A nice feature is the ability to comment on items. I have enabled it for Players and Teams for now. Please send comments and feature ideas! P.S. Why am I doing this? It’s a divertissement, no ambitions to it. 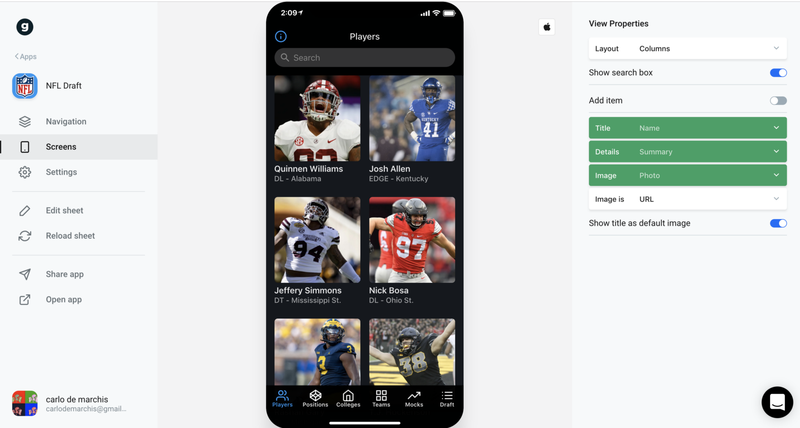 Do we really need an NFL draft app? I guess not. The NFL app and NFL.com do a great job of covering that. I have been attracted by the no-code platform and by that being based on Google spreadsheet on which I became quite expert in the latest months, my fascination with data and sport and lately the NFL. Also, I constantly need to find alternative ways to express my constant creative energy, it’s a disease. I need to see my wacky ideas come to life somehow, can’t wait. It’s kind of the “maker movement” in digital, so happy whenever I find tools that let me create digital products with minimal efforts. The question rambling in my head now is, does a platform like Glide have a future for real app stores mobile apps or can it be a fast effective way to create mobile experiences for vertical purposes? Are the non-app-stores cases also very simple ways to do internal apps for companies for specific purposes? I guess Glide team’s ambitions are the latter but I can see a rationale for the first case. 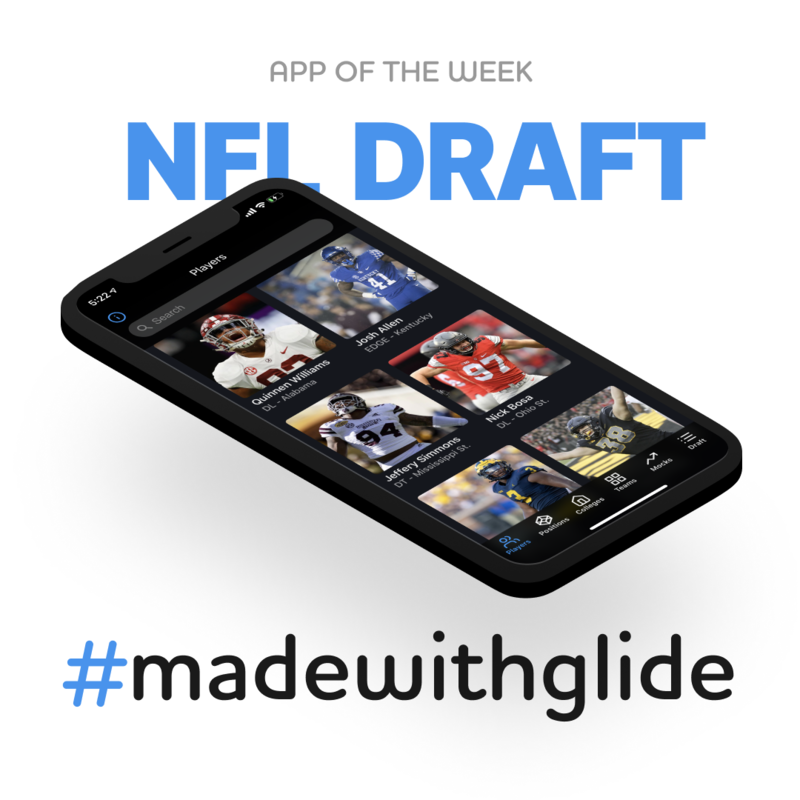 The guys at Glide have been so nice to feature NFL Draft as the App of the week!